Brand: Wilton 1005-4453 Units: 24/pkg. You can start making your flowers right away; no need to dry overnight. Just insert a wire stem in the bottom opening and begin wrapping petals. Includes 1" and 1 1/4" high base for small and large roses. Bases are made out of plastic; package does not include wire stems. You can start making your flowers right away; no need to dry overnight. Just insert a wire stem in the bottom opening and begin wrapping petals. 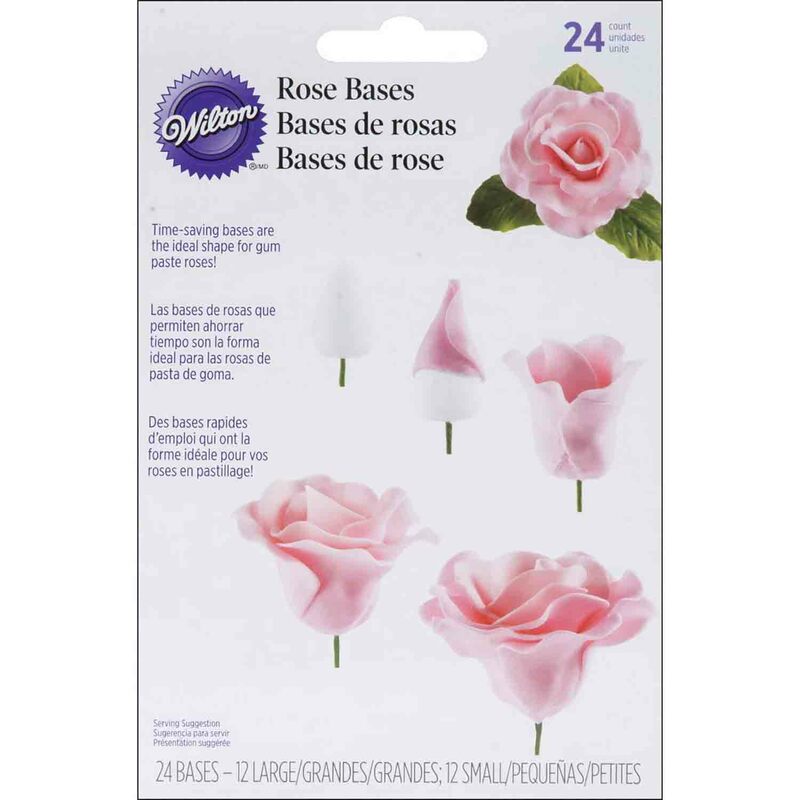 Includes 1" and 1 1/4" high base for small and large roses. Bases are made out of plastic; package does not include wire stems.